UC Santa Cruz acquires a photographic treasure trove with the Pirkle Jones and Ruth-Marion Baruch Photography Collection, the largest single gift ever given to the campus. Plus more news. California photographers Pirkle Jones, Ruth-Marion Baruch, Ansel Adams, Dorothea Lange, and Edward Weston were brought together through their artistry that captured the stories and scenery of this fabled state. The Pirkle Jones and Ruth-Marion Baruch Photography Collection, an extraordinary archive being given to UC Santa Cruz by the Marin Community Foundation, documents the people, landscape, and politics of California in the mid 20th century. The collection, with an estimated value of $32 million, is the largest single gift ever given to UC Santa Cruz. The transfer of ownership includes photographic prints, negatives, contact sheets, and transparencies created by Jones and Baruch as well as Adams, Lange, and others, together with rights and interests in the work by Jones and Baruch. Baruch died in 1997, Jones in 2009. The archive will be based in McHenry Library’s Special Collections, where it joins a smaller Jones/Baruch archive given to UC Santa Cruz in 2003. Plans for cataloging, exhibitions, and research based on the full collection are in development. The archive complements campus holdings and interests in Bay Area and California history, social justice, and environmental issues. Acclaimed work in the collection includes photography projects on the Berryessa Valley by Lange and Jones, and the Black Panthers by Baruch and Jones. Baruch and Jones met in 1946 in a photography class started by Adams at the California School of Fine Arts (now the San Francisco Art Institute) and were married in his Yosemite home. In 1969, Jones served as a teacher at a workshop held by Adams at UC Santa Cruz and developed a lifelong affection for the campus. A $2.5 million grant from St. Baldrick’s Foundation supports the Treehouse Childhood Cancer Initiative at the UC Santa Cruz Genomics Institute. The grant, to be paid over five years, brings the power of genomics and big-data analytics to bear on finding effective treatments for children with cancer. A $1 million gift from alumnus Nion McEvoy (Porter ’74, literature) will support programming at the UC Santa Cruz Institute of the Arts and Sciences (IAS) over the next five years. McEvoy is CEO of Chronicle Books in San Francisco and an arts philanthropist. Programming for the IAS includes the current campus-based Collective Museum project, the Look Back in Time: Russell Crotty and Lick Observatory exhibit at the San Jose Institute of Contemporary Art, and the upcoming Crochet Coral Reef exhibit and events in Santa Cruz. 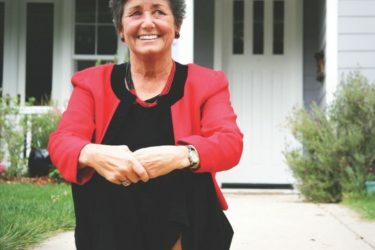 A $160,000 gift from James L. Gunderson and Valerie J. Boom, to be expended over four years, supports recruitment of a faculty member in astronomy and astrophysics. The E. K. Gunderson Family Chair in Theoretical Astrophysics honors the work of Gunderson’s father, a psychologist whose work on human adaptation to confined and extreme conditions was used by NASA in understanding the implications of space travel. More than 100 donors joined forces to honor Faye Crosby’s service as provost of Cowell College (2010–16) with a room-naming gift. In celebration of her contributions and the memory of her father, friends and admirers gathered to dedicate the Faye Crosby and Robert “Bob” Newman Senior Commons. The money raised will support programs at Cowell. UC Santa Cruz received more than 3,000 gifts in 24 hours in its first-ever online Giving Day. With matching funds and challenge prizes delivering an energy boost, donors gave $340,000 on May 11. Scores of project teams all across campus connected with supporters in a celebration of grass-roots philanthropy. Stay tuned: Giving Day 2017 will be March 8. 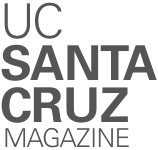 The Campaign for UC Santa Cruz supports excellence across the university through private investment in the people and ideas shaping the future. It is bringing critical new resources to the student experience, academic research, and environmental and social justice programs.